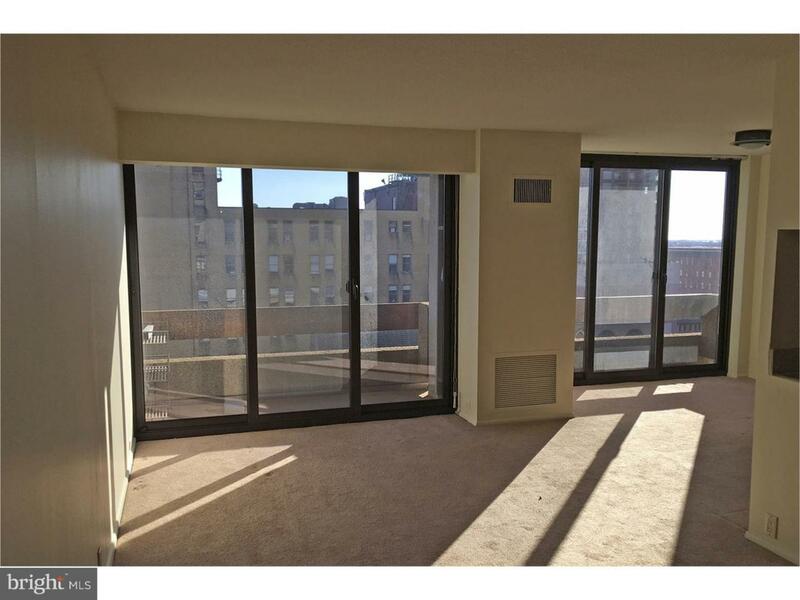 Spacious, sun drenched one bedroom corner unit with sweeping views of South Philadelphia from the 11th floor. Floor to ceiling windows in the living and dining rooms fill the space with natural light. Lovely balcony with dramatic city views. Washer and dryer in the unit with new windows in all rooms to insure noise reduction and sun protection. 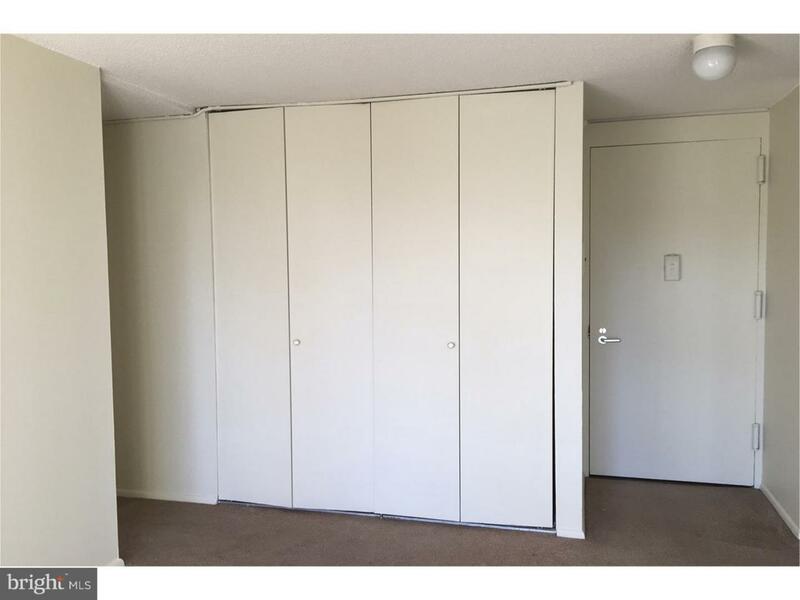 Abundance of closet space. Center City One is a 24-hour door man building with an excellent reputation for good management; recently renovated hallways and lobby. Rental includes: heat, water, sewer, standard cable with HBO. Tenant pays electric. 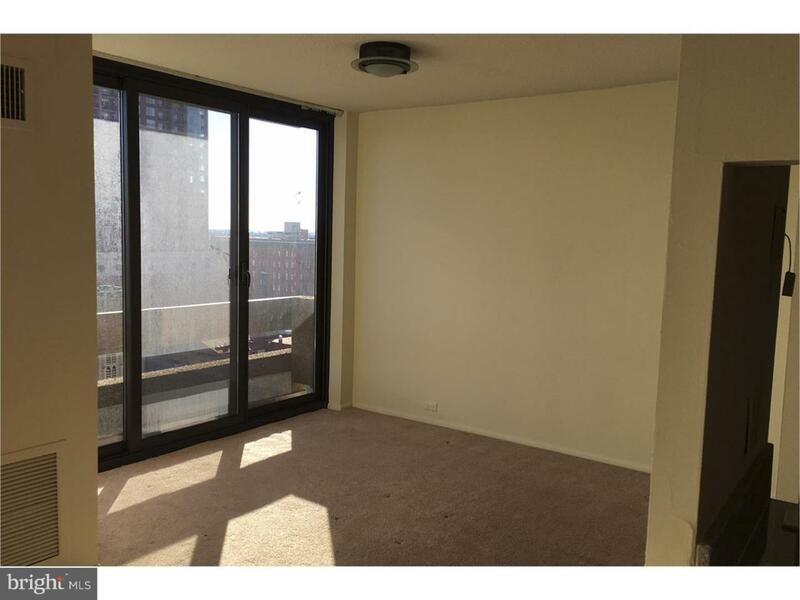 Excellent Avenue of the Arts location in the heart of Center City with access to all public transportation. Parking garage attached to the building with spaces available periodically for purchase and/or rent. 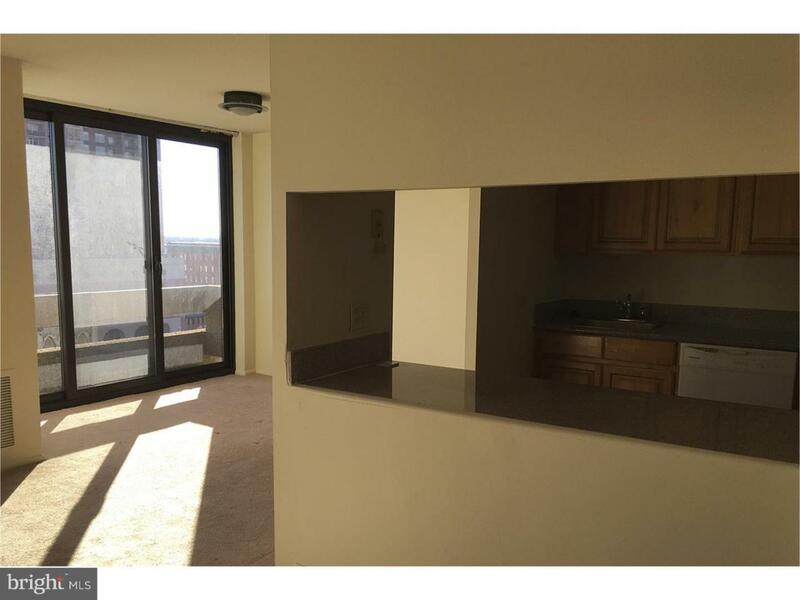 Daily errands, shopping, parks and restaurants are all within walking distance.